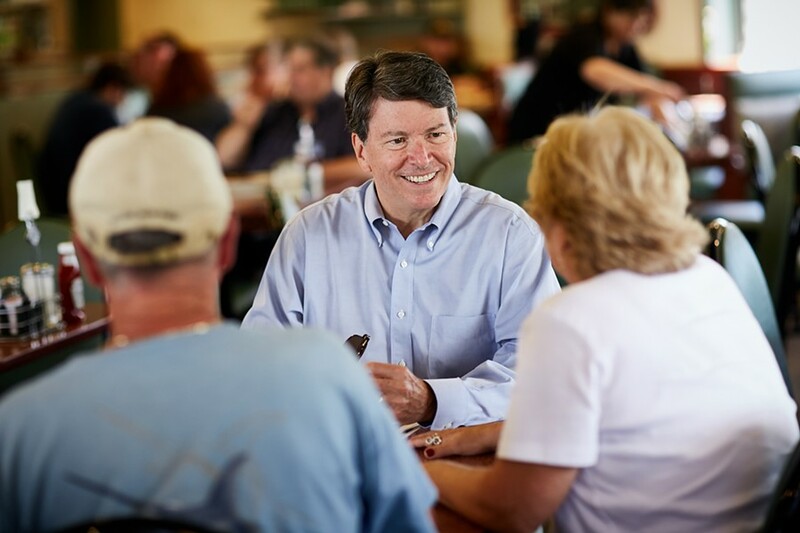 While seven Democrats duke it out for their party’s nomination in New York’s 19th Congressional District, incumbent Rep. John Faso reportedly feels confident about his reelection prospects. Faso is a first term incumbent who upset his Democratic challenger, progressive Fordham Law Professor Zephyr Teachout, by about 8.5% or 25,000 votes in what most analysts consider to be a pretty even district in terms of partisanship. “Faso carried 10 out of 11 counties in the 19th district,” Faso’s campaign manager Tom Szymanski told me, responding to a question about whether or not Faso could appeal to voters outside the rural and conservative strongholds of NY19, such as those in Ulster county. Notably, however, the one county Faso did not win is Ulster, which Teachout carried by nearly 10,000 votes. Rep. Faso has had some big shoes to fill, having succeeded the wildly popular Republican Chris Gibson. “Faso’s been more conservative than Gibson,” said Vassar College political science Professor Richard Born, whose focus is in congressional elections, “Gibson was one of the most moderate Republicans [in congress].” Some of Faso’s votes probably hurt him as well, Born told me. “He could’ve had a more moderate voting record. There’s this perception that Faso is more conservative than his district.” He continued, “I could easily see Gibson opposing the repeal of the Affordable Care Act [ACA].” However, Faso notably voted to repeal the relatively popular ACA in favor of the Republicans’ much less popular American Healthcare Act (AHCA) in May 2017. Born also advised caution when considering Rep. Faso’s strength in relation to past election results. 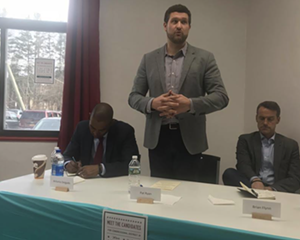 Referring to the 2014 Democratic nominee for New York’s 19th, Born said, “[Sean] Eldridge was absolutely a carpetbagger. Perceived as a shallow, extremely wealthy guy looking for a house seat to win.” The nominee in 2016, Zephyr Teachout, he said, “was a very liberal college professor, that turned off people,” and led to Faso’s election. “So these last two elections aren’t very meaningful when it comes to anticipating what’s going to happen in 2018,” he concluded. Notably, Democrats have been swinging strongly Republican districts and states in special elections this cycle by as much as 20 points in their favor. Democrats also currently hold a more modest lead in the generic congressional ballot polling which predicts the nationwide popular vote in congressional elections. This makes Faso, a Republican in a fairly competitive district, quite vulnerable. Rep. Faso touts a bipartisan voting record, having been rated as the 18th most bipartisan House member (out of 435 plus 3 non-voting members) by the nonpartisan Lugar Center. According to FiveThirtyEight’s “Trump score” index, Faso votes with President Trump on key legislation 87.5% of the time. Based on the partisan lean of New York’s 19th, he would normally be expected to vote with Trump 80% of the time, meaning he votes with Trump 7.5% of the time more often than the median representative from this district would. However, it should be noted that this a relatively small difference when compared to those of most other legislators. “Congressman Faso is focused on advancing legislation that helps New York families,” Szymanski said. When asked about Faso’s legislative accomplishments during his time in the House, Szymanski told me Faso is most proud of “the inclusion of provisions in the Farm Bill,” which he says help dairy farmers, grow the local organics industry and assist in giving jobs to veterans. 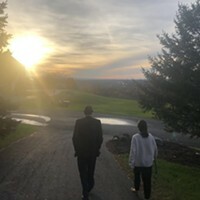 He also pointed to his effort in combating the opioid epidemic, a crisis that has hit New York’s 19th hard, noting that he is “the lead sponsor of a bipartisan bill that targets criminals’ ability to easily ship packages of fentanyl and other opioids from abroad.” Finally, he pointed to healthcare, citing an amendment Faso proposed to the AHCA, which was later adopted, which would’ve “eliminated the state mandate of medicaid costs on local property taxpayers,” saying it was “the first meaningful effort in the last 50 years to reform this system which uniquely burdens property taxpayers in New York.” Because the AHCA failed to pass the senate, this amendment was never signed into law. When asked what actions Rep. Faso would take in response to President Trump firing special counsel Robert Mueller, the former FBI Director currently tasked with investigating Russian interference in the 2016 election, Szymanski said, “Rep. Faso thinks Mr. Mueller should continue in his job to determine whether there was illegal activity related to Russian involvement in the 2016 election.” However, he hedged a bit on this point, adding, “He should conclude this task quickly however and not unnecessarily prolong this investigation.” This echoes statements made by other GOP politicians including Vice President Mike Pence who earlier this week said of Mueller's investigation, "I think it's time to wrap it up." According to a new internal poll from the campaign of Pat Ryan–a veteran running for the Democratic nomination to challenge Faso–conducted by Democratic polling firm Public Policy Polling, Faso trails Ryan 44 percent to 41 percent. 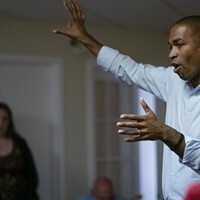 The poll also showed Antonio Delgado, who has outraised Faso by hundreds of thousands of dollars, tied with Faso, with both garnering 42 percent. The poll also showed Faso’s approval rating underwater with just 37 percent approving of his job performance against 47 who disapproved. When presented with positive information about the candidates, Faso’s numbers went up slightly. It should be noted, however, that this is an internal poll conducted by a partisan firm, and it is just one poll rather than an aggregate of many. The FiveThirtyEight polling gurus, arguably the best and brightest in polling analysis, would likely advise readers to take these numbers with a grain of salt. Faso’s future is unclear. What we know for sure is there is tremendous progressive energy emanating from the Democratic side in the form of fundraising, grassroots organizing, and voter participation. “A democratic wave by some magnitude is expected this year,” explained Professor Born. “John Faso has problems.” The big question now, is independent candidate Diane Neal one of them? 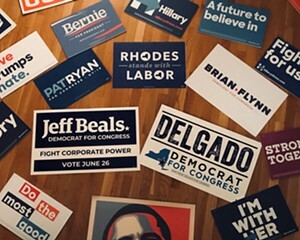 The seven Democratic hopefuls in NY19 are nearing the home stretch. The eventual nominee will face a challenging but crucial contest, and will have to employ a shrewd electoral strategy in order to prevail. A super PAC supporting NY19 candidate Pat Ryan has been accused of "negative" campaigning. When subjected to greater scrutiny, however, these claims fail to hold up.